Surprise someone you love with an elegant gift box brimming with sweet and salty treats. 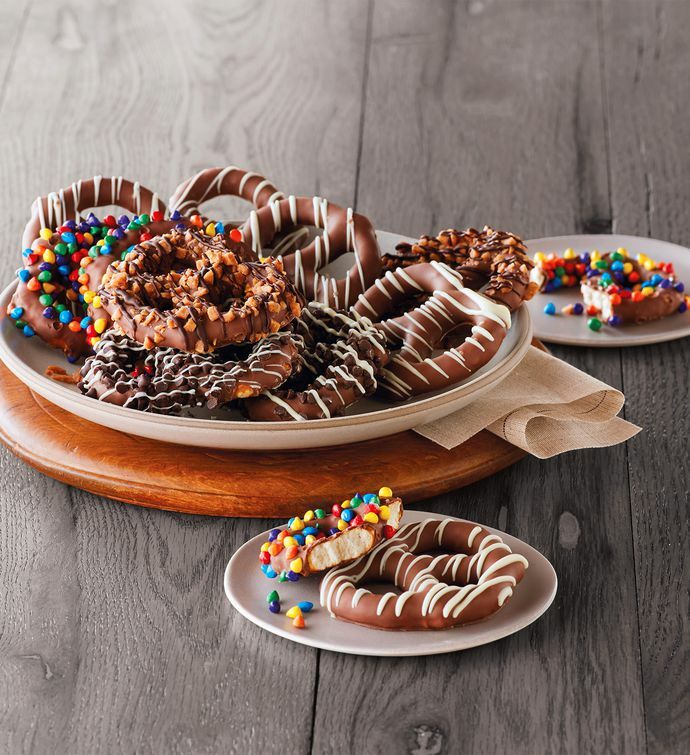 Artisans hand-dip pretzel twists in Belgian milk chocolate, then decorate them with colorful sprinkles and chocolate drizzles. These treats are crafted in small batches, and no two are exactly alike. They're great to have on hand for unexpected guests.